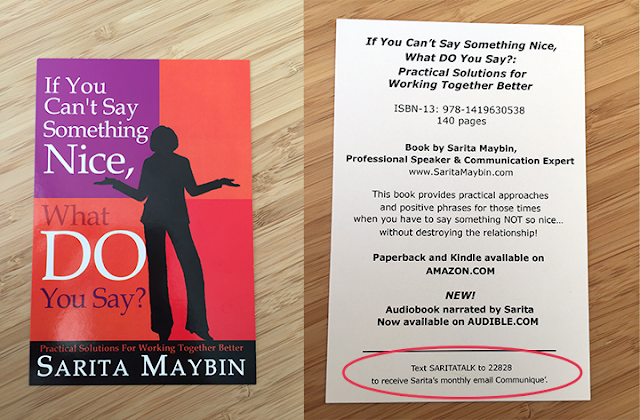 I first met Sarita Maybin at a workshop I gave at the downtown library. 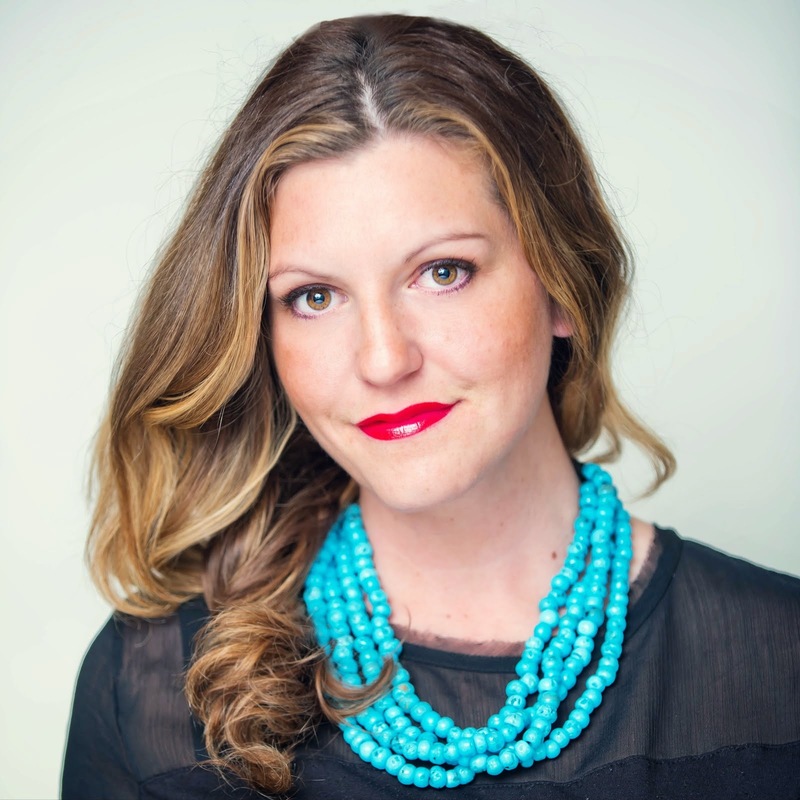 Sarita is a public speaker, author, and communication expert and has been using Constant Contact for 10 years! A true pioneer! 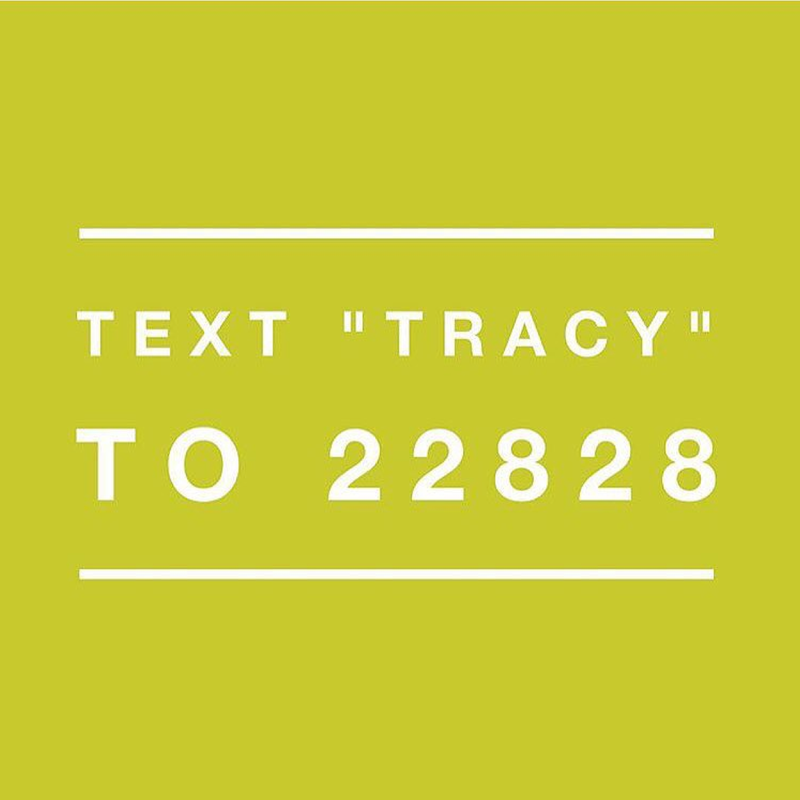 We were discussing ways to grow an email list and I introduced the group to TEXT TO JOIN, a simple easy way to allow people to sign up for your list by texting in their email address to a specific keyword of your choosing. 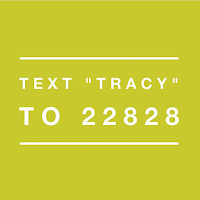 For example, if you wanted to join my list you could text TRACY to 22828 and now I've cut out all the administrative back-end of adding names to my list. You can do this at events, on Instagram (as I do with the photo left) or best yet, on printed materials to get the best bang for your buck on flyers, postcards, and brochures. Sarita is in my Mission Valley Marketing Lab and the first thing she showed me when she came in was her postcard with the TEXT TO JOIN added on. She said she can't believe how many people are actually using it. Exciting! So I wanted to send a shout out and huge props to Sarita for trying something new and immediately experiencing the benefit and the reward for branching out! Great job! !